West Temple &amp; 300 S.
Public Pay lots and metered street parking is available . We offer a variety of on and off-site catering options for all occasions. Please contact Melissa McMinn at 801-890-6616 for further details. Locally owned and operated, Christopher's is the Recipient of the prestigious “Best of State” award and the “People’s Choice” designation from opentable.com, with an “Excellent” rating from Zagat; Christopher’s Prime Tavern has been a fixture in the Salt Lake City dining scene since 1995. We’ve built our reputation on the belief that the finest ingredients yield the finest dishes; 21-day aged USDA Prime beef and the Freshest Seafood Flown in Daily from around the world and Organic Locally Sourced Produce, are the building blocks of our award winning menus. 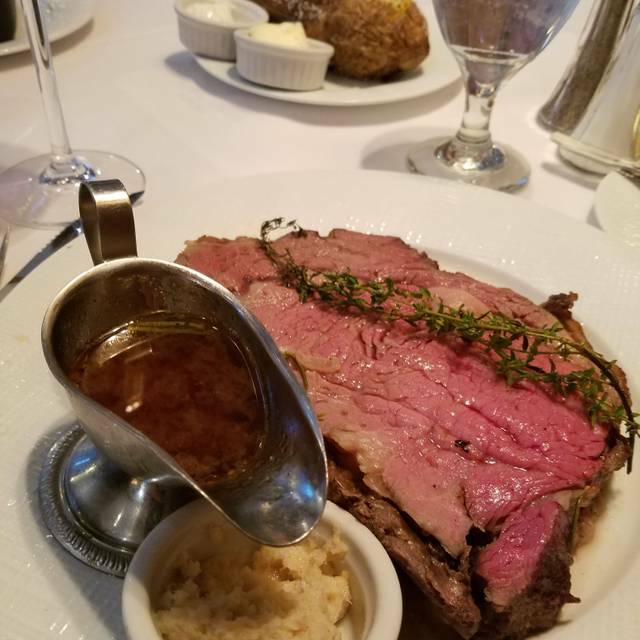 From our mouth watering hand-cut USDA Prime Filet Mignon to our Giant Steamed Alaskan King Crab Legs, Christopher’s is sure to please any palate. We offer an extensive Wine list and full Liquor bar. The meal didn't meet expectations. The steaks were overcooked and had little flavor. The baked brie was served cold and it made it difficult and not appealing to eat. The service was very good and saved the experience from being bad. Overall I was very disappointed in the experience. Great time at the new location. Everything was great! Thanks! Wonderful steakhouse locally owned. 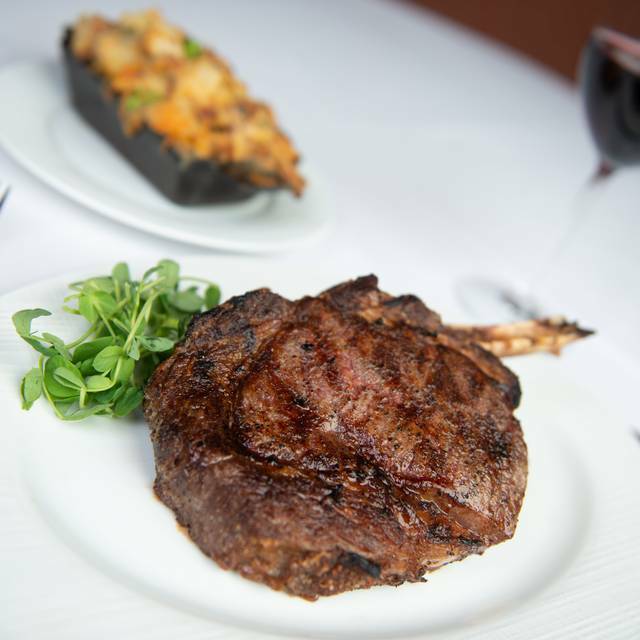 Gives you the traditional way steakhouse were the staple of American dining for decades. I read about Christophers Prime Tavern and it was ranked as one of the top restaurants in Salt Lake City. I will have to agree that the service was very top-notch, but the food was mediocre. I had the special, which was trout and artichokes which was salty, drowned in oil and could been any fish because it was so over seasoned. I ordered the roasted Brussel sprouts which were even worse— Drowning in some kind of a salty sauce. 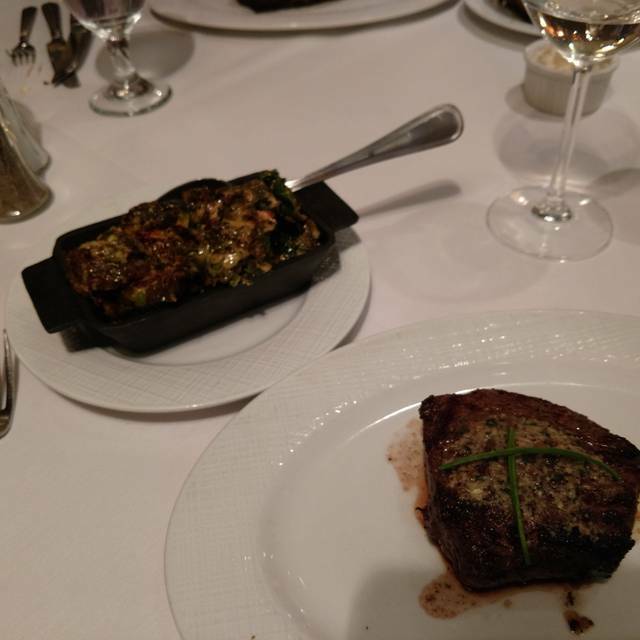 My son’s steak was very good and the cocktails were very nicely done. But I won’t be back because the food was really not as expected. Best steak I've ever had. Server provided excellent service without getting in the way. Steak was over-cooked, and their prices were a tad high for what we got, but it was still good and I would go back again. 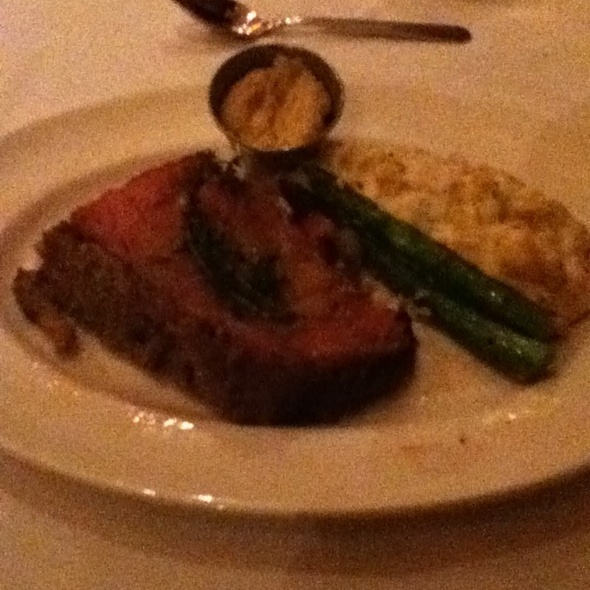 Always have a great meal at Christopher's and the service is first rate. We have not been there for about five or six months and our server remembered us. My wife and I liked the old location but we are getting used to the new one (brighter and more open). The food is the same, great and so is the service! Really enjoyed our server - he was super attentive and we never lacked for anything during our meal. The food was outstanding, the entire group was very complimentary of the entire experience. The services was excellent. They were very attentive to our needs without hovering or interrupting. The food was spectacular! Everything was perfect. Not my favorite for the money. I had Halibut and it was over cooked and dry. My husband had a sirloin steak. It was the best meal of the 4. One of our friends had the pork chop and one had chicken. Both were just ok. Garlic cheese mashed potatoes were not at all fluffy or fresh. I would not go back there personally. The steaks here are top-notch. The small plates were surprisingly tasty too, the Brussels sprouts in particular. The restaurant was full of trade show employees, so it was kind of weird! In general the food was overpriced although very good!. The creamed spinach was swimming in oil/grease/fat from the cheese content. Not sure that I would go again if i didn’t have a Groupon! Went there the night before it was great, this time food very bad. Think my steak was spoiled, waitress ask are not hungry? I said I think the steak is bad. Ask to see the manager, never came, was charged the full price in spite not eating my dinner. This was not a cheap dinner, including drinks, appetizers, salad, main course and wine. Hit one of the National chains close by where you can count on a consistent meal. Dry busy so your staff was stretched a little thin. Great meal overall. Food and service were outstanding. We will definitely be coming back. The service and atmosphere were great. We got onion rings for an appetizer and they were soggy. The steaks were overcooked and not tasty at all. best tasting steak, better than ruth's chris. sides were very good, big enough to share. 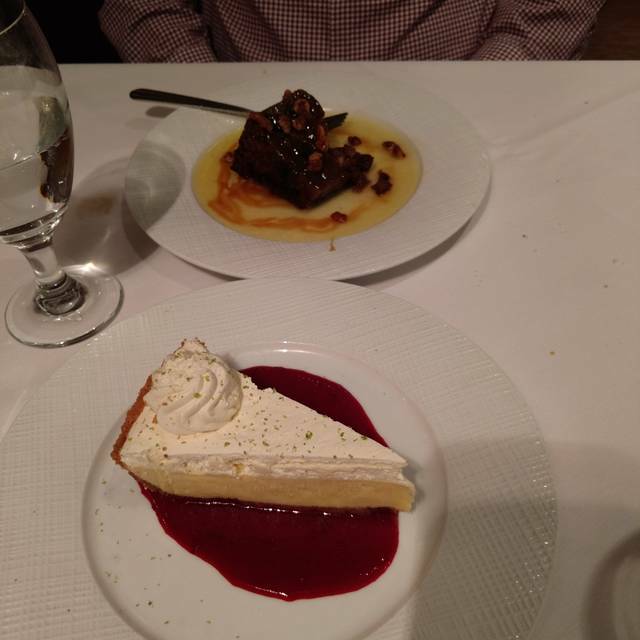 desserts were good, but not amazing. overall fantastic dining experience. this was second visit, will go again. Didn’t realize a 20 percent gratuity had already been adde so the server got a very large tip! Wait staff service was exemplary. The pomegranate martini was delicious. This is our first trip to Christopher's. We reviewed Yelp and other review apps beforehand. Overall this was a great experience and we will definitely be back! Bread roll was amazing. It was warm and soft with the balsamic butter. Chan's ribs appetizer was delectable. Clam chowder was a little lukewarm and so we had to have that return to the kitchen to be heated up. Since the timing was quite close to our entree, we decided to forego the chowder. The manager greeted us and apologized with the offer of free dessert which we took. The entree was amazing. Great filet mignon oscar style! It was cooked perfectly to our liking. 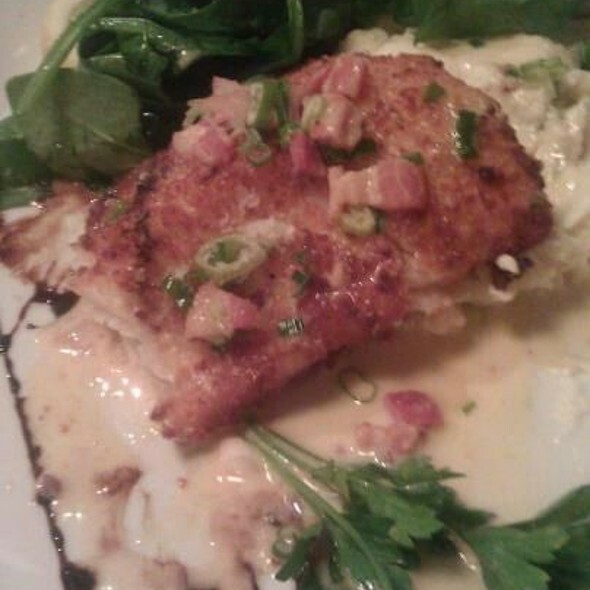 Daniel, our server was very friendly and knowledgeable about the menu. 1. Please ensure all food are hot! The soup was lukewarm. Also, the steak was hot when it came out. However, since it was not served on a cast iron plate, it went cold very quickly since we got the 12-oz size. I think Christopher's need to invest on steak plates. 2. Please have great dessert selection with a separate dessert menu. Having basic dessert menu is not too impressive for fine dining experience. 3. Please improve the selection of handcrafted cocktails. We really like our selection but it would be nice to have more choices. I would recommend this restaurant; the meat was incredible, the ambiance lovely and the service impeccable. But, I was very disappointed in the side dishes we ordered. The Caesar salad was limp and lacking in any flavor. The spinach was just seemingly frozen spinach with grated cheese overbaked on top. Not the rich and flavorful "creamed spinach" I was expecting from an expensive steak house. The asparagus was overdone. The steak was lovely, perfectly cooked. It was served with béarnaise and crab. Crab was obviously canned and the béarnaise lacked the unctuous flavor one expects. I believe a bit more attention to detail, and offering items on the menu that are fresh and of the region, might be helpful. I feel the food was overpriced. With a dairy allergy, there were no choices really. I ended up having to have roasted chicken (BBQ chicken) with the BBQ sauce on the side, (not my choice), brussel sprouts and sweet potato fries (not the word they use, but that's what they were.) The brussel sprouts and sweet potato wedges were really good. I would think for $35-$55 per plate there would be more choices for people with food allergies or accommodations could be made. The bathroom has no hooks. As we left the restaurant I went to use the facilities with purse, coat, and scarf in hand. Where do you hang these items when there are no hooks? That's a terrible oversight. The atmosphere is really great. The restaurant was quiet and the decor very tasteful. I wouldn't recommend to a friend because I don't think the restaurant is exceptional enough to reflect such high prices. The food was delicious and the atmosphere was nice. The house cab paired well with the King's Crown and the dirty martini was a good preface to it all. The white cheddar mashed potatoes were heavy on the fresh garlic side, which was fine but a bit much and over powered any hints of cheddar that may have been there. 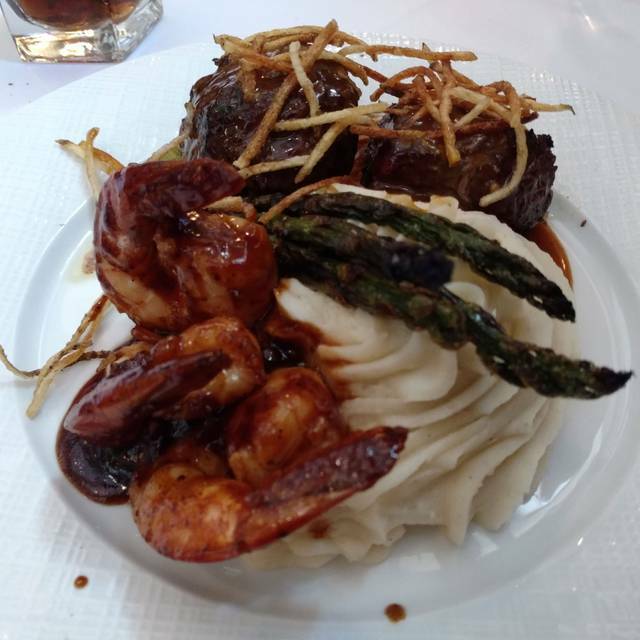 The asparagus was cooked to a perfectly as was the filet. Thank you! Food was delicious and filling. 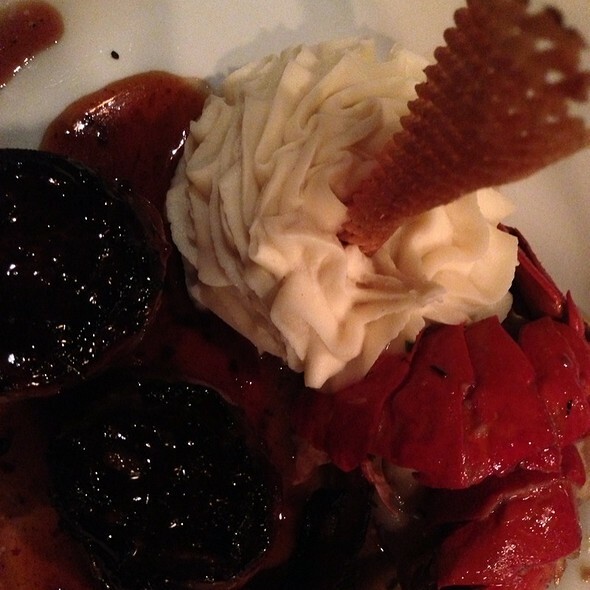 The prix fixe option let's you explore different items on the menu. Loved the ambiance and service was great... they ran out of a couple items we wanted to order, but otherwise was very nice. Amazing food! 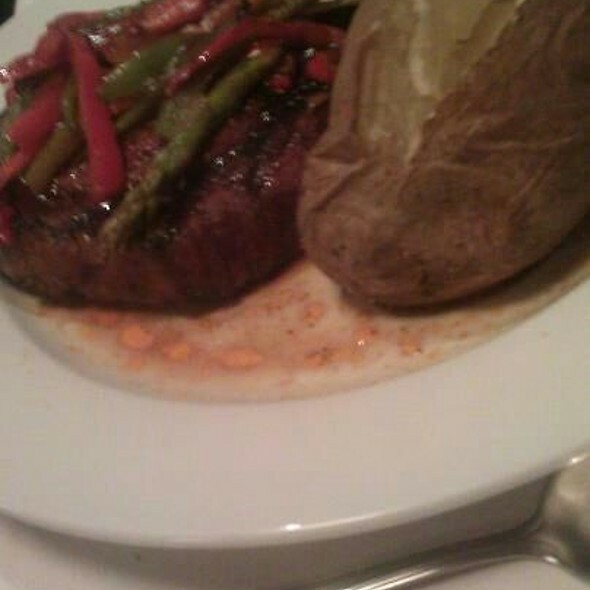 I ordered the 8oz filet and it was the best steak I have ever had! My husband loved his 20oz delmonico ribeye as well. After reading other reviews online, we chose the Brussel sprouts and garlic mashed potatoes. The Brussels were awesome and had great flavor. The mashed potatoes were okay, not fluffy, and seemed like they had been sitting in a dish or on the plate for a while before the food was served. Overall a great experience and we will definitely be back! Nice clean restaurant, none of the entrees come with a side, you have to order and pay seperately which is a little mundane. Obviously pricey menu but quality is Devine. We were very disappointed in the way our server treated us once we told him we had a groupon. He added an automatic 21% gratuity for a group of 4 which is not standard practice. Mind you, we did not ask for our ticket to be split or any other hassles. Just for the groupon to be added. Definitely disappointed that because we wanted to save a few bucks we were treated as if we were not going to tip on the original amount. However, Andy, the manager was so pleasant, understanding, and kind. Food was great. Service was very slow. Staff was very friendly with the exception of the hostess. She refused to seat us at a different table when others were clearly open. She was pretty rude actually. Server was fantastic. Was somewhat busy so there was a lot of time between visits. Tables very close and one can hear several conversations at once. Had to ask for bread. Food was good....not great. Very pricey, so get ready for a several hundred dollar dinner. Everything a la carte which is normal for this style tavern. Overall good experience. Great food. Great atmosphere. This is my “go to place” for special occasions with my wife. A Note about service...Daniel was our waiter, and he is the man! Great service and great recommendations from him. He was attentive, but not overbearing. He has been our waiter before, and honestly, he will be part of the reason we come back regularly. We will be sure to ask for him next time we are there. Food was excellent, service was rather slow, and it wasn’t busy. Our entree arrived at the table one hour and ten minutes after we sat down, and only then because we asked why it was taking so long. We ordered as promptly as we could, because we had concert tickets. The waiter seemed overtasked, taking care of tables on at least three sides of the dining room. Perhaps because our steaks sat too long waiting to be served, they were slightly overcooked. The time caused us to rush through our entree's, not even look at the dessert menu and rush to the concert. The new location offers no valet or covered parking (it was raining and windy that night), and has a poorer ambiance than the prior location. I would recommend Christopher’s with this caveat. It’s very expensive relative to the value/quality of the food. The steak was cooked perfectly but lacked flavor. Ruth's Cris, across the street has better flavored steaks at a comparable price.